Australian nurses and midwives are being forced to announce their ‘white privilege’ before treating Indigenous and Torres Strait Islander patients – a move which has been slammed as ‘racist to its core’. The term ‘white privilege’ defines the unearned social and cultural advantages awarded to people with white skin which are not enjoyed by people of colour or non-white backgrounds. The Nursing and Midwifery Board believes the cultural safety of Indigenous or Torres Strait Islander patients is just as important as their clinical safety. There are photos of former first lady Michelle Obama shopping at one of them. Throughout the country, depending on the region, many vendors are minorities at them. But to hear a couple of lunatic professors from San Diego State University tell it, farmer’s markets are inherently racist because they are strictly the construct and domain of white people. Seriously. You can’t make this stuff up, folks, though it’s a shame that someone did anyway. As reported by the Washington Times, Profs. Pascale Joassart-Marcelli and Fernando J. Bosco write in a new book that farmer’s markets in urban environments are “white spaces” that are responsible for…oppression. 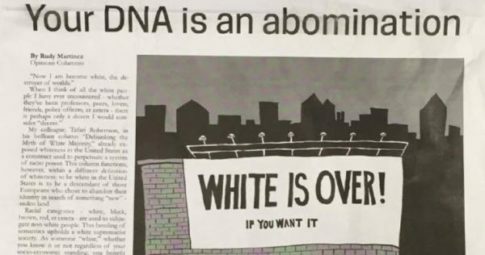 An editor for a student paper apologized for an op-ed a student journalist asserted that “white death will mean liberation for all,” according to a Wednesday report. Rudy Martinez, a Texas State University student journalist for The University Star, wrote an article entitled “Your DNA Is An Abomination,” referring to the DNA of white people, reported The College Fix. “The original intent of the column was to comment on the idea of race and racial identities,” said Denise Cervantes, The University Star’s editor-in-chief, in a statement. “We acknowledge that the column could have been clearer in its message and that it has caused hurt within our campus community. The publication removed Martinez’s article from its website, but the writer still insists that the piece was not racist. A TERRIFIED woman suffered horror injuries when she was battered by thugs in what police believe was a race hate attack. 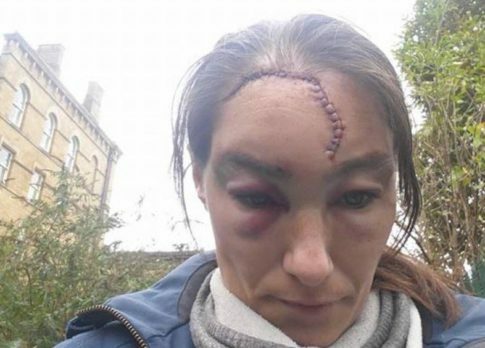 Nikki Hurst was left with serious facial injuries and a head wound after she was pushed and kicked in what police are treating as a “racially aggravated” assault. The 32-year-old had been out walking in Batley, West Yorks, when she was approached by the three Asian men. Silicon Valley’s disdain for its mostly white, mostly male tech workforce has reached absurd new heights. The New York Post is reporting that, after just six months on the job, Apple Diversity Chief Denise Young Smith, who was named vice president of diversity and inclusion in May, has resigned her post after making a “controversial” comment last month during a summit in Bogota, Colombia. What was Young’s crime? She insinuated that “diversity” can still exist among a group of white men because of their different life experiences. “There can be 12 white, blue-eyed, blond men in a room and they’re going to be diverse too because they’re going to bring a different life experience and life perspective to the conversation,” the inaugural diversity chief said. That’s right: Young, who is – for the record – a black woman, has been forced out of Apple because her views on diversity were too inclusive. California’s NAACP is pushing for state lawmakers to support a campaign to remove “The Star Spangled Banner” as the country’s national anthem. 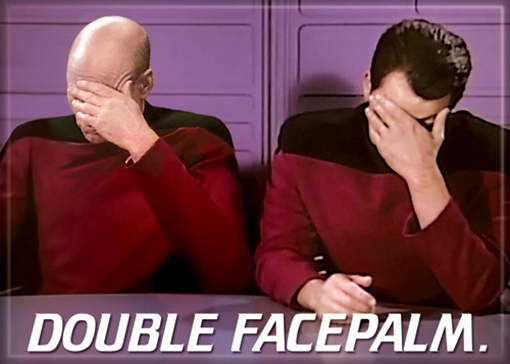 In possibly the greatest ‘virtue signal’ yet, the organization last week began circulating among legislative offices two resolutions that passed at its state conference in October: one urging Congress to rescind “one of the most racist, pro-slavery, anti-black songs in the American lexicon” as the national anthem, and another in support of former San Francisco 49ers quarterback Colin Kaepernick. The UK government has published one of the world’s most extensive audits of racial disparity, picking out various differences to imply the nation is institutionally racist. When she announced the audit, back in August, the prime minister promised it would make for “difficult reading”. The report – covering health, education, and housing, for example – reveals that different groups fall behind in different areas.